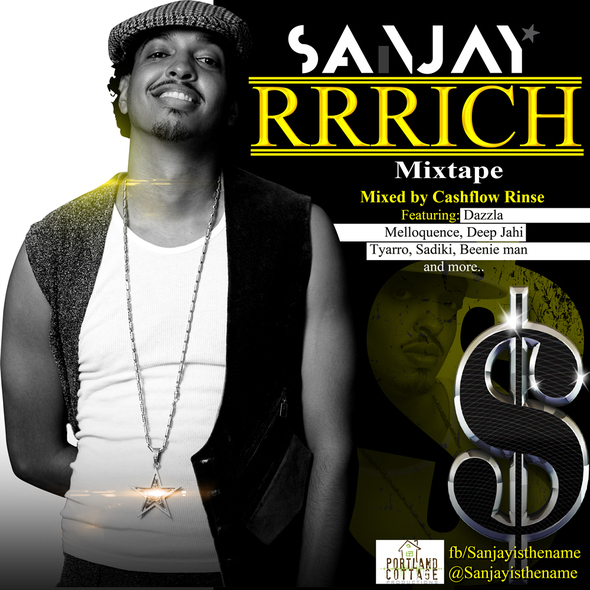 Ace dancehall lyricist Sanjay has passed another signpost in his career with the release of his first mixtape dubbed RRRICH. The 24 track RRRICH Mixtape, which has been making the rounds online and on fan devices since last week, is a culmination of several months of credible recordings by the Kingston based DJ mixed into a fun and exciting compilation by Cashflow Rinse. The tape feature previously released as well as new works from collaborators such as Beenie Man on Piece a Di Wine and Aliane on Wine Closer. The hits include Bad Up the Luvy and Drop Dat. “The people love it and my twitter and facebook have been blowing up with positive comments. This is just a piece of what’s to come for the rest of the year as we continue to make good music”. 06. Question 1: why u do this? 10. Quest 2: where u get rich frm? 16. Quest3: intense a distract u?